This was a different audience to most country gigs. Everybody was very smartly dressed and had made a special effort. Well, this was the London Palladium darlings. Beforehand I was standing in the upstairs bar near two couples on VIP packages with a friendly hostess from Liverpool bringing them drinks and snacks. There was no support act which was a bit of a shame as this would have been a good opportunity for an up and coming act to have the experience of playing the Palladium. Still, the bar was doing brisk business. 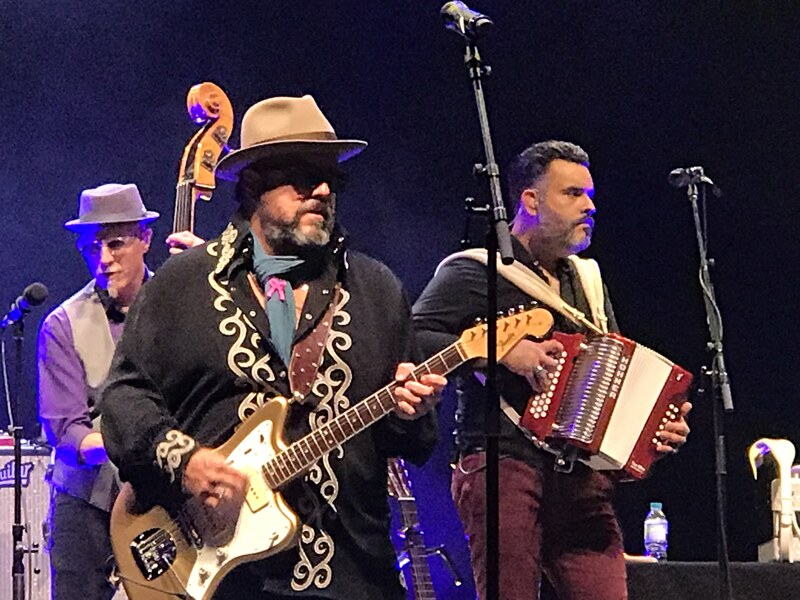 The Mavericks are lead singer/guitarist Raul Malo, guitarist Eddie Perez, Paul Deakin on drums, the flamboyantly dressed keyboardist Jerry Dale McFadden and “the Fantastic Four” on double-bass, accordion, sax and trumpet. Kicking off with Rolling Along, the first track from the fine new album Brand New Day the scene was set for the evening. A concoction of country, mariachi, Cuban bolero, rock and pop. This is the Mavericks style, a winning and distinctive formula familiar to UK audiences since the smash Dance The Night Away of 1998. The excellent Damned (If You Do), is perhaps the highlight of the new album. Then Back In Your Arms Again and straight into That’s What You Do To Me with a biting brass riff. Tracks flowed one after another, from Nashville, to Plaza Garibaldi, to Elvis to country boogie. There’s no time-wasting with this band, no more than a handful of seconds between numbers. Dance In The Moonlight gave us country boogie into mariachi. By this time the lady in the seat next to me was dancing. The track brought a wonderfully discordant guitar solo from Malo and great accordion and trumpet solos. Then came a heartfelt rendition of the Bee Gees’ How Can You Mend A Broken Heart which was a poignant moment and message in the show. At this point Malo switched from electric to battered acoustic guitar for the Grammy nominated track from the latest album I Wish You Well. A song written about his father. 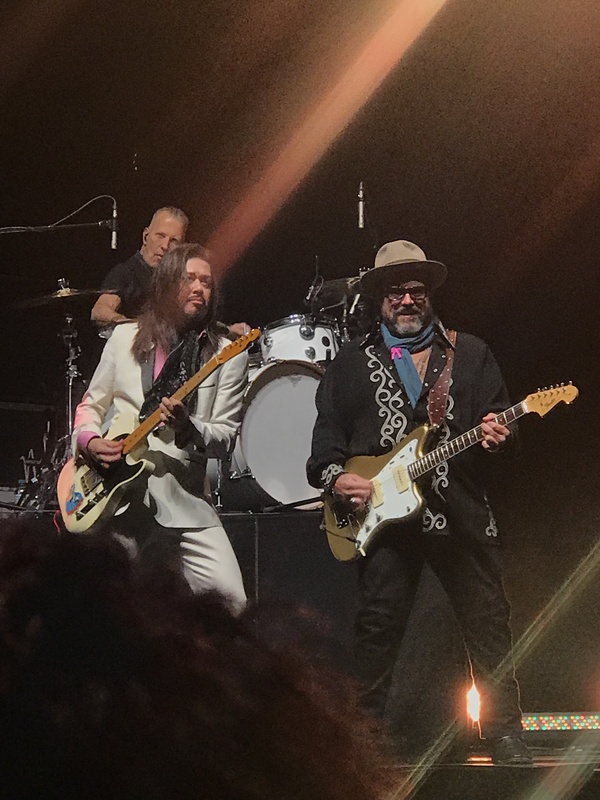 Malo returned on stage to begin the encore with two solo numbers, firstly a powerful version of Dylan’s The Times They Are A-Changin’ and then Brand New Day, the title track from the new album, with shades of Roy Orbison. The band returned for a totally unexpected cover of Pink Floyd’s Us And Them which didn’t sound remotely out place. All Night Long had 99% of the audience dancing in the seats, in the aisles, in both balconies. The octogenarian lady in the row in front was dancing. Five tracks into the encore was the big one, Dance The Night Away. A brilliant song brilliantly performed. Continuing the party theme was You Never Can Tell. Chuck Berry meets Little Feat and closing the show was All You Ever Do Is Bring Me Down. Seven tracks for an encore? Unheard of. Wonderful. 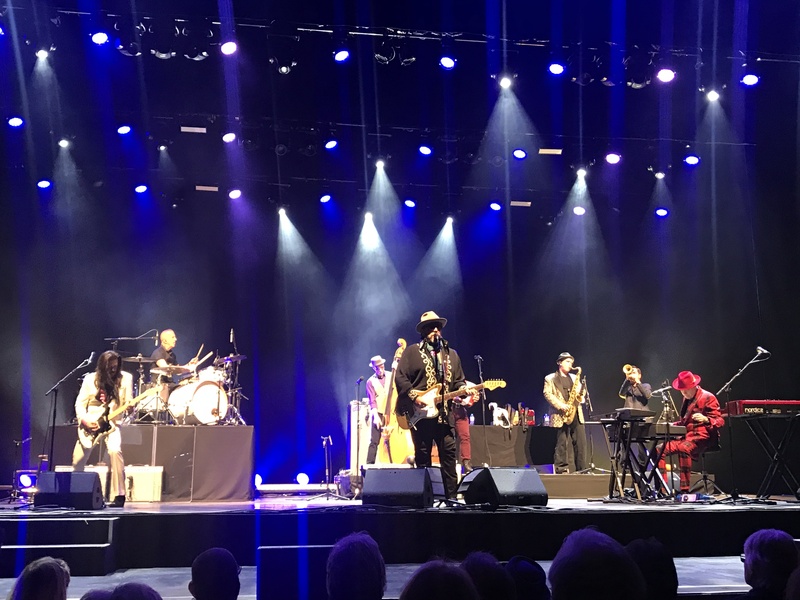 The Mavericks send a musical message of love, peace and fun. Over two hours of strong material, original and covers. The gentleman next to me, Terry, had seen the band on 15 previous occasions and said this was the best show of theirs he’d ever seen. This was a special gig for the band too. They lined up on the stage to take the applause from the crowd then turned around for a crew member to take their photo against the backdrop of the crowd and the famous venue. A nice touch after the show was the band staying to shake hands with members of the audience before going off stage. 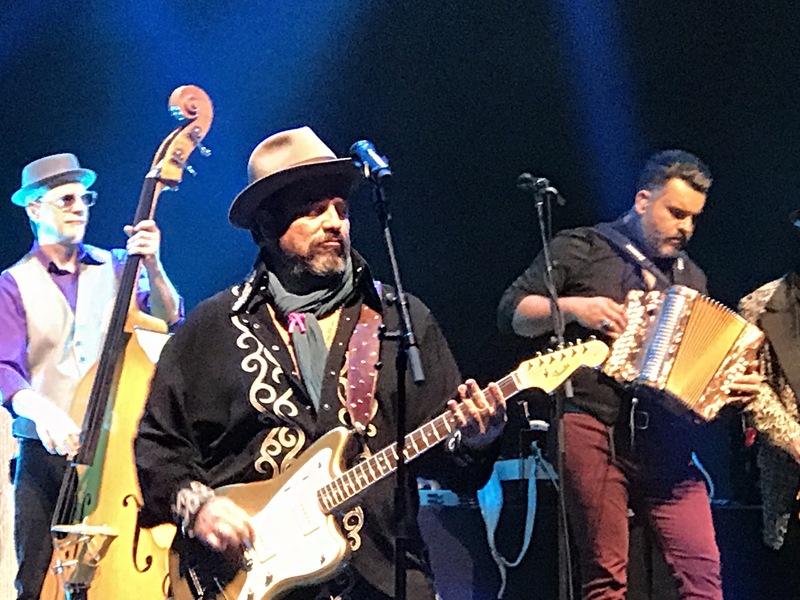 They’re touring the UK for the next week, including Celtic Connections, and if you want a good time go and see them. You’ll love them. Everybody does. I was there too…..and I think it was me that danced!!! What a band! !